Facebook is set to launch an Android app on April 12 called Facebook Home that acts as a Facebook-type skin running in the background of smart phones. It displays users’ news feeds, and gives them even more chances to interact with their Facebook friends on their mobile device. The feature also has the potential to be one of the richest information-gathering tools available at Facebook’s disposal, and privacy experts are worried. “They will get information about who you’re calling, how often, and how long you’re speaking to them. That’s a lot of information, and combined with the rest of your Facebook communications, (it) could paint a very clear picture of your private life,” said Parker Higgins, an activist with the Electronic Frontier Foundation. Normally, Facebook’s ability to gather users’ information on a phone is limited to whatever the user does inside of their Facebook app. However, Facebook Home will breakdown that barrier, and could hypothetically access users’ geo-location from the GPS locator unit on the phone. 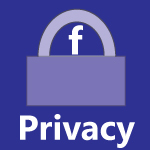 Facebook has promised it won’t track user locations, though the ability for them to do so is there. In addition to Facebook comments and messages, Facebook Home will also pull text messages from your phone, giving the site one of the largest pools of data on your mobile device. Of course, installing Facebook Home is optional, but many users may not know what they’re signing up for when they opt for it. Ultimately, it will be up to each smart phone user to decide if the increased interactivity is worth the increased exposure to Facebook.